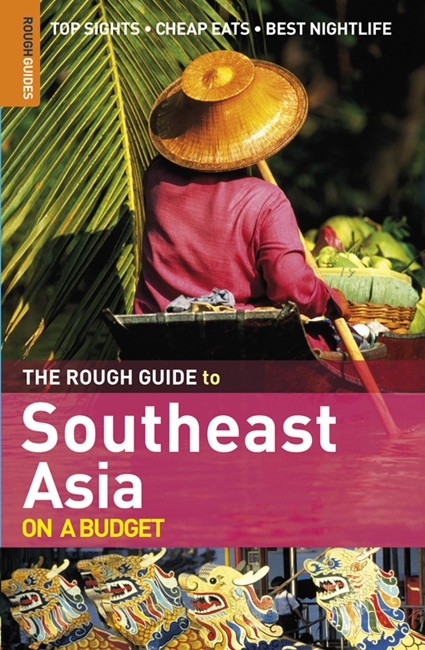 Before setting out for 5 weeks of travel through Southeast Asia, I stocked up on the Rough Guides to the region. For my time in Vietnam, Cambodia and Thailand, I not only researched using the individual country guides but was delighted to find that they publish a complete guide to the area calledÂ Southeast Asia on a Budget. This guide includes Brunei, Cambodia, Indonesia, Laos, Malaysia, The Philippines, Singapore, Thailand and Vietnam, plus Hong Kong and Macau. A comprehensive guide like this has 2 huge benefits. The bennie of most value to me is that if I’m visiting more than one of the included destinations, I don’t have to carry around more than one guide. But, the other great bennie is that the budget traveler won’t have to pay for multiple guides. Backpacker heaven! In addition to the great ideas for budget travel, the SE Asia guide also includes highlighted boxes for treating yourself to a night out. A nice little perk if you find yourself with a little extra cash. The country guides, such as the Rough Guide to Vietnam, are less about budget travel but provide a great overview of the area including a wide range of restaurants, cafes, hotels and bars. There’s also loads of information on culture and history. The Rough Guides are all available on Amazon. 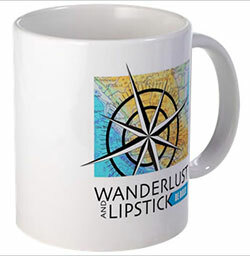 Join other Wanderlusters and stay updated on travel-related items by subscribing via email or RSS feed. Big fan of the RGs, me. They’re invariably brilliantly written (and therefore a good read in their own right, even when back home) and I’ve always found them reliable. Rough Guide and Lonely Planet are my reference staples (with National Geographic filling every other corner of my bookcase). Have you seen the recently reprinted National Geographic guide to Vietnam? Gorgeous! I have yet to visit Southeast Asia. I have been inspired to do so, but I would have to do much researching before making the plunge. I used to use Lonely Planet for many things or Let’s Go, but any other recommendations like the Rough Guide that would be an all in one would be great. Nice, but I wonder how the guides compare to the Lonely Planet ones which I have used in the past. I have found that the LP guides are sometimes very helpful, but sometimes caused me some trouble with inaccuracy!